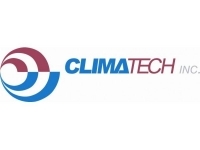 Climatech, Inc. a leading HVAC company in Pittsburgh located in Robinson Township, has announced the launch of their community outreach initiative, Climatech Cares. Under the Climatech Cares umbrella, Climatech will partner with a variety of local nonprofit organizations by donating equipment, installations and other services. As the first partnership, Climatech will work with the nonprofit Heroes Supporting Heroes (HSH) to benefit local service men and women, veterans and their families through the Heat for Heroes campaign.Now through February 2017, Climatech has committed to the complimentary installation of a forced air gas furnace, donated by Lennox, replacement furnace installations, emergency service calls on diagnostic repairs, furnace inspections and donations on select parts and other installations. “We’ve been looking for a way to give back to our community and through the development of Climatech Cares and the Heat for Heroes campaign, we’re able to give back to our active military and veterans who live right in our service area," said Brad Taback, President of Climatech, Inc. Heroes Supporting Heroes is a nonprofit organization that supports stable and safe housing for military members and their families, senior citizens and others in need in the Pittsburgh area. HSH focuses a large part of their services to aiding families of deployed military members. Other local veterans and military members will assist the families with household construction and other jobs; this is where Climatech Cares fits in as many services needed are in the HVAC field of service. As another Climatech Cares initiative, Climatech recently donated a high efficiency gas furnace to Austin’s Place, a nonprofit that specializes in one-on-one training for mentally disabled young adults who are graduating from traditional school systems. Along with the furnace, Climatech’s installation crew donated a portion of their time to perform the installation. For more information on Climatech visit www.climatech.com.